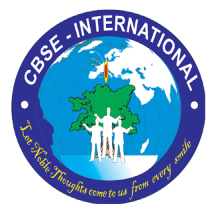 DAV International became the first CBSE-i school of the region. Rising towards attaining a global vision, DAV International School, Amritsar now holds the much desirable CBSE i (international) accreditation given by the Central Board of Secondary Education (CBSE). With this new achievement in its bag, DAVIS has become the first school in Amritsar and third in Punjab to receive the CBSE-i (international) approval. In the press conference organized at school, Principal Anjana Gupta said that CBSE-i (international) is a pioneering approach by CBSE to deliver education with a global outlook. Launched in 2010, it is a pilot project of CBSE introduced in 25 schools in South Asia and Middle East. With key subjects like English, Second Language, Science, Mathematics and Social Science, the board aims to promote critical and creative thinking skills, effective communication skills, interpersonal and collaborative skills and information and media skills. Under this accreditation, students are allowed to opt for any foreign language subject, replacing Hindi. Its entire course is online and is taught through e- books. It is actually a cheaper alternative for students who, in order to get into good universities abroad, either have to do IB or IGCSE after XII. The Principal also informed that last month, CBSE team had visited the school to judge it on various parameters and found the school perfect to offer and showcase this CBSE-i (international) accreditation learning options with features like Smart Classrooms, E- Library, Activity rooms, Resource centre, Language Lab, Computer Lab, Class Library etc. The school is yet to introduce the newly adopted CBSE i (international) curriculum. It will give alternative to its students, whether to opt for regular board curriculum or international board curriculum. The school in a little while will keep this option in front of parents as well, who want to make their wards learn as per the international standards. Principal Anjana Gupta told that the school will announce the commencement of registrations shortly and will soon conduct the sequence of orientation sessions to educate parents about the added new curriculum. Chairman of the school, Dr. V.P Lakhanpal and Manager, Dr. K.N Kaul were also present on this occasion. Dr. Lakhanpal congratulated the Staff and the students whole heartedly and wished them luck for the future. Dr. K. N Kaul applauded the efforts of DAVIS’ faculty and students and congratulated the Principal on this pioneer achievement.